On Wednesday, the 4th of July 2018, a concert of the Rolling Stones is taking place in Letňany. 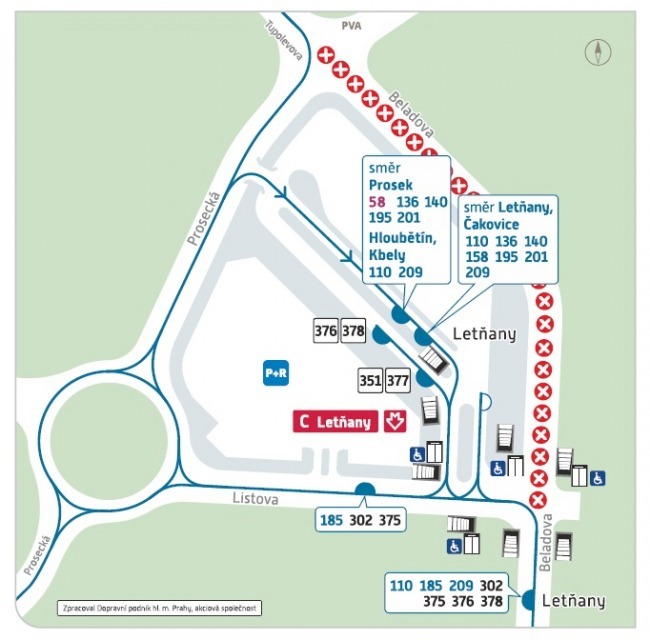 Due to this reason, the stops of bus lines in the area of the metro C station – Letňany are relocated from 1:00 p.m. according to the enclosed plan. For transport to this event we recommend using metro line C to the Letňany station, as its operation will be strengthened. We would like to warn the visitors that parking facilities at the spot of the concert will be significantly limited. After the end of the concert we recommend using the metro as well. Its operation will be strengthened after the end of the concert and extended until 1:00 a.m. so that all visitors of the concert could use the metro for their departure. We apologise for any inconvenience that may have been caused to you and we wish you a pleasant cultural experience.